"Take Spur 234 South for about 2 miles to County Road CR-344. You will cross one RR track, then jog to the left and cross a second RR track. The road now becomes CR-304. Stay on the paved road, and after a long straight section under a lot of trees, you will see the entrance to Circle-I Ranch. 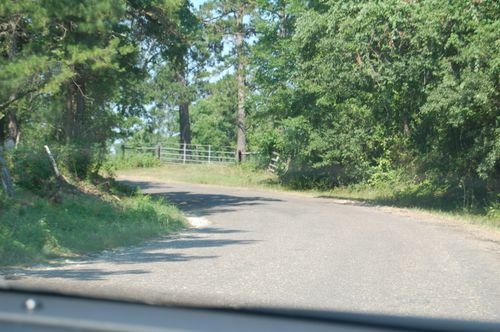 CR-304 makes a hard right turn, but you will turn left onto CR-344, a gravel road. Go 3/4 mile to the first road, Joubert, and turn right. Go all the way to the end and turn right into the driveway." That's straightforward, sounds clear enough... although some of those turns that SEEMED like hard rights, weren't the RIGHT right! Nevertheless, it was worth the wandering and the wondering when we pulled into their driveway.